What are the tools that every DIY'er should have? This is a community wiki as there is no one right answer. Use it for lifting, prying, removing, bashing, demolishing and most importantly, against zombies and headcrabs. For about $10-15 USD you can get 100 utility knife blades, so you don't have to worry about sharpening your knife/breaking the blade (except your eyes of course!). I use mine for all sorts of stuff. ...that is easy to find! 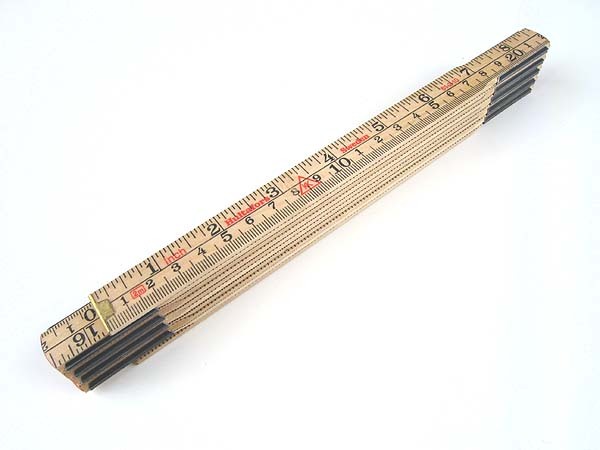 These are the most often used tool in my toolbox, not that they ever make it back into the toolbox. A good jigsaw can be very helpful for many tasks as well. 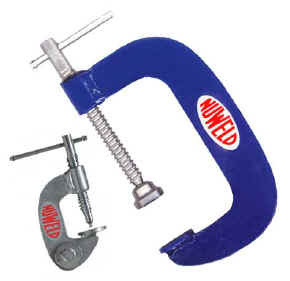 Commonly known by the genericised trademark "Vise-Grip"
I find that I use it one way or another on every project I do. A power miter saw (compound if possible). It will cut anything you'd cut with a circular saw (other than large sheets), and you'll also be able to cut any trim pieces you'll ever need. Adding and replacing trim is a relatively easy thing to do and can quickly add value and better the appearance of a house. Few things come as close the a bang-for-the-buck arena. This comes in very handy to make sure you turned off the correct circuit breaker before doing any electrical work. And really helps if you have some funky wiring in your house and not everything in a single box is on the same circuit. Rubber handles will save your hands after a bit of use. Also, try to find black tipped drivers, as this means they're hardened and shouldn't wear down as quickly. 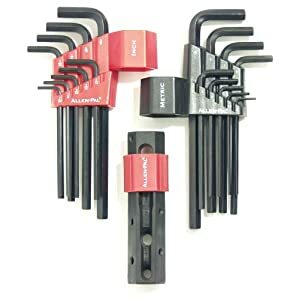 Set of standard and metric allen keys. Makes short work of any tearout job. Gets into places that other saws can't. A circular saw of course. And don't skimp - you'll use it enough that it's worthwhile to spend the money and get a decent (and light) one. 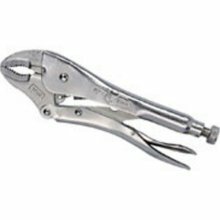 A good set of channel lock pliers (multiple sizes). Use them on almost every job, especially plumbing. 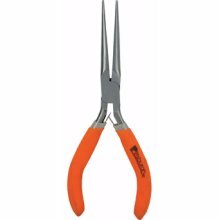 Great for scraping, pealing, poking. 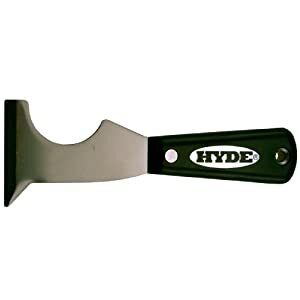 I use it all the time (and it is stronger than a putty knife). A dremel with various bits: cut-off wheel, stone, sandpaper, polisher, etc. Complete socket wrench set for 1/4", 3/8", and 1/2" drives and box/closed end wrenches. Should include shallow and deep sockets. Places like Sears will carry an affordable portable fitted toolbox with all the sockets and wrenches. Rubber mallet - good for things where a hammer will just dent things - also good for adjusting things with taps. Suitable for use on Class A (trash, wood, & paper), Class B (liquids & gases) and Class C fires (energized electrical equipment). The Full Home unit is fitted with a pressure gauge that provides at-a-glance status, is manufactured from lightwieght aluminum and a tough nylon valve assembly. Better to have it and not need it! Fits in a toolbelt or toolbox. Comes out every time something almost fits. Saves eight million trips back to the table saw. Handles simple rounding and shaping. I'm surprised no one has mentioned them but I think a good set of chisels are invaluable. Any time you're working with wood, a sharp set of chisels can be the key to getting a good fit and finish. Not really a "tool" per se, but one thing I ALWAYS and is stress ALWAYS make sure I have in my tool box and wear all the time. 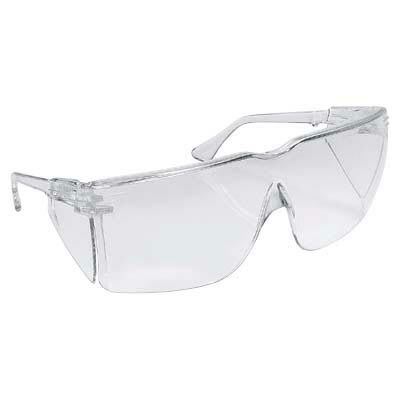 Had a friend that got metal in his eye and had to have the metal drilled out, creeped me out so much that I now wear safety glasses anytime I do any kind of work around the house. See also: What should I look for when choosing a stud finder? A small pancake compressor. You can easily borrow / rent the tools, but having the compressor for so many jobs comes in handy. Can also be used without a tool to blow stuff off, fill tires, etc. My personal favourite tool was my Gerber - though I know some people also like/prefer Leathermans. This is one thing where going cheap is not worth it. 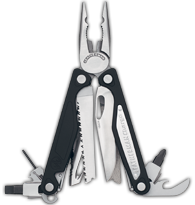 Anything Gerber, -Leatherman, -SOG, or any other quality tool brand really shines when compared with a cheap $10 variety. Seriously - save up for a few months and buy a good one. You'll be very glad you did. Not the answer you're looking for? Browse other questions tagged tools or ask your own question. Should I purchase single tools, or a tool set? How can I learn the basics of Home Improvement projects? 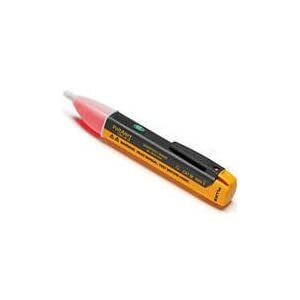 What should I look for when choosing a stud finder? How do I secure a toilet bowl to a tile floor? Can my apartment's electricity harm my computer? 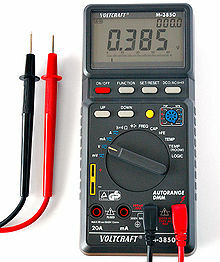 Is there an easy way to test the electricity? How to learn home improvement for young adults? Are those oscillating tools any good? What tools are required to unclog sink drain with garbage disposal? Are either of these tools suitable for tightening the pipe union nut underneath a bath? What are the names of these tools? What tools should I use for hand carving and whittling? What tool is a solid metal cube with dimples or half spheres on every side? What are the must-have features for a Hackspace/Makerspace bandsaw? Are these tools appropriate for a roofing project? What are these tools used for? What are the names of these tools and what are they used for?